Actually, I stand corrected. I don't know why it looked different to me.. I did however find two issues within scenario 2 in chapter 4. This happens in the first town you start chapter 4 in. The first picture shows that the word "gold" doesn't appear when you revive someone after the first battle. This second shows that the chief's name is blue and is the same color as the background making his name very hard to read. 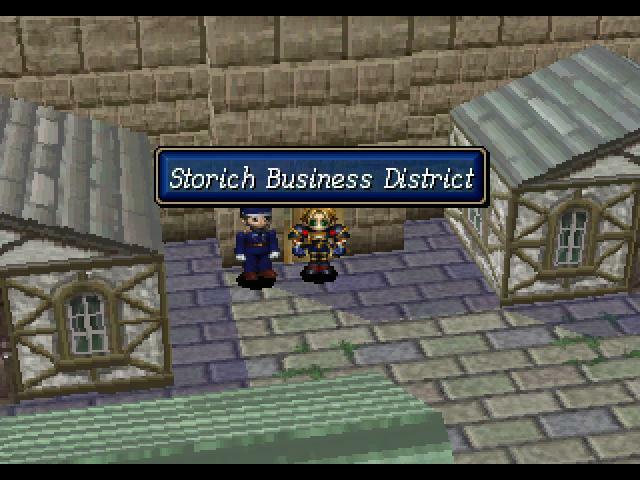 Please keep in mind that I am running this game off of the CD using an actual Sega Saturn system and not an emulator. I am not sure if that makes a difference or not. I got the second one taken care of. Keep in mind you can change the window color to a number of options, so colored text readability will vary with that choice. In this case, however, I agree the purple name was unnecessary. This is usually reserved for named characters that you meet for the first time and even then there are two colors that are used, one for male and one for female. This usage didn't fit. 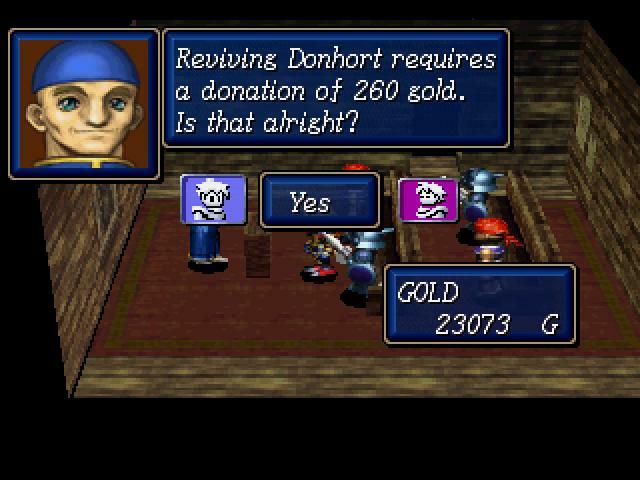 Reviving (name) requires a donation of (number) gold. Is that alright? But a number in the range of 10K shouldn't be happening. You'll have to elaborate a bit more on exactly how this came up. Shouldn't make any difference that you are on a real Saturn, except for I might suggest making sure the Saturn isn't getting hot. If games freeze with any frequency on your particular Saturn, I might attribute oddities to overheating. If you have no such issues, we can continue to investigate. Sorry I should have been a bit more clear. you are correct that is exactly the issue and occurs as you described it. 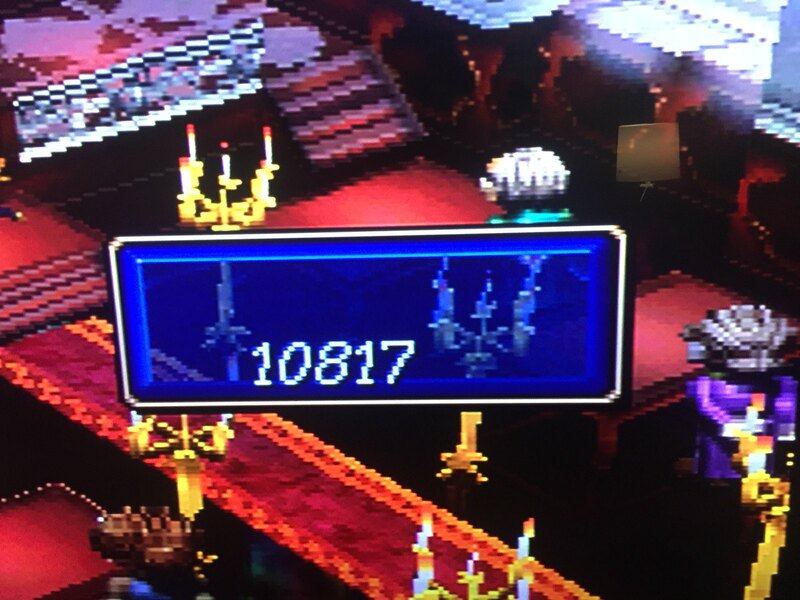 The number is correct also as my character has this much gold. Its a long story how I have this much gold, but since this is my first play through, I am missing all of the extra characters. The issue came up after I first visited the church, and went to promote. This screenshot was after the first battle and I returned to revive some fallen people. I am actually working on getting the usb adapter so I can transfer the saved game. I just received notification that it shipped and will be happy to send you the saved game so you can see for yourself, if you like. As far as my Sega Saturn it does not freeze up on me and is in perfect working order. In fact, it was sitting in the middle of my living room when it happened. That 10K would be the amount you owe to revive though. I believe it is 100 gold per level, so that would be level 100. No, the 10K is showing the amount of gold I have in the bank. 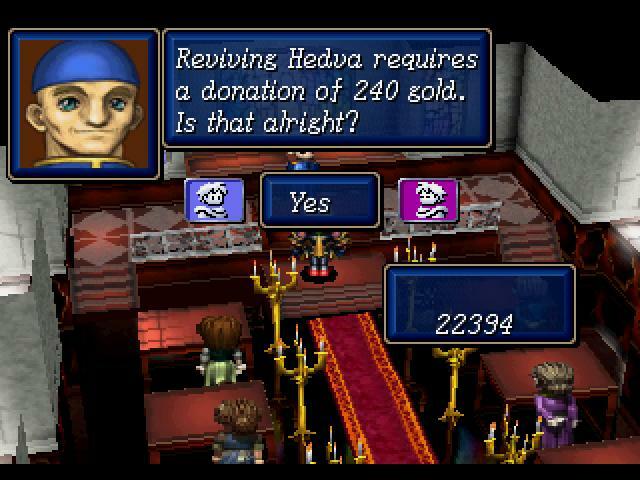 The amount you owe to revive is in a dialog that the priest says. The word gold is missing from the bank dialog. Do you know what the line is supposed to say? Here is a better picture of what is going on in the screen. You can see that it just says 22394 and above it nothing. The word "gold" is missing. It appears this is only a problem in Elbesem Village as it appears properly on the seagate. I also confirmed that this problem appears on SSF also. For reference below is a picture aboard the Seagate at the same revive screen. Got it. Will get it fixed up. 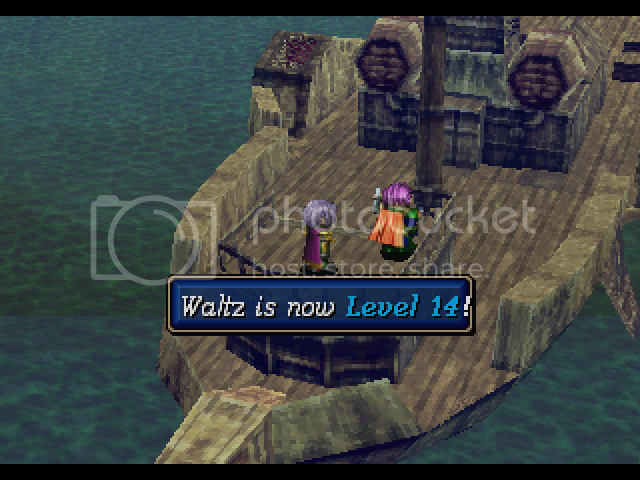 Chapter 4: After destroying the Executor's cannons, everyone receives experience. That text is present. However, there is no text for when someone gains a level. I did locate the missing text. The file is BTL218. The missing text is on Page 9. 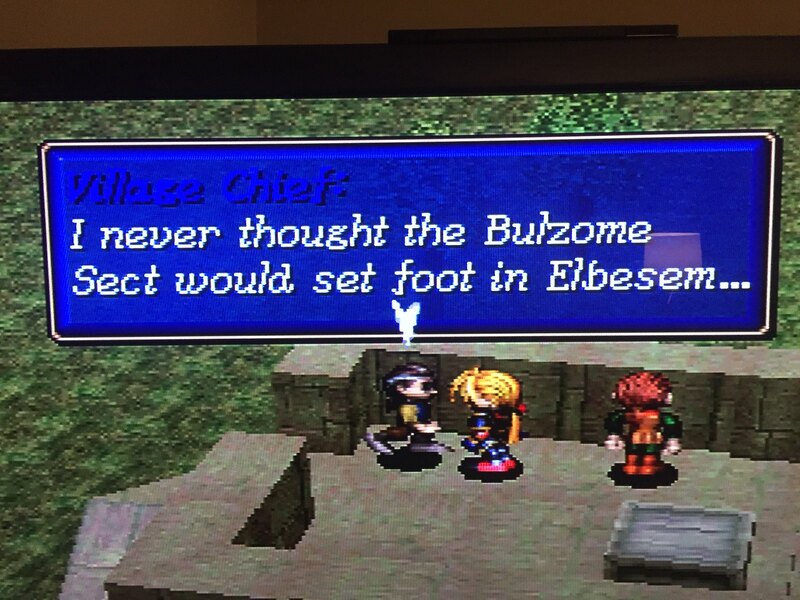 Thanks for the heads up, Bulzome! Let me know how this is working. 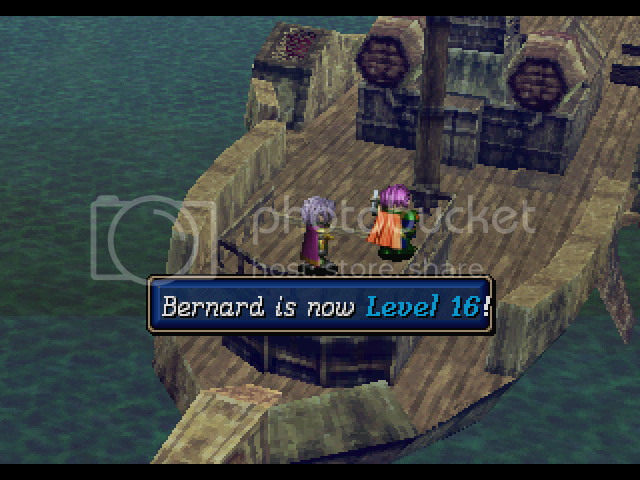 It's almost perfect, but I think the "level increases" line is missing the "end w/out arrow" character. EDIT: Have a video, but I don't have time to render it ATM. (I forgot YT doesn't like my raw files.) I can post it tonight if need be. Everything else seems to be in working order. Try the new one I just uploaded to the same place. I put enders on all of those lines. This should cause you to need a button press to get past each line. We can also try a line break if you think that would work better. If you have a save you could provide, that would be great. The save I have doesn't level anyone in that spot. That way I can do some testing. I'm thinking I have a different version of Scenario 2. The lines are present in my original disc. 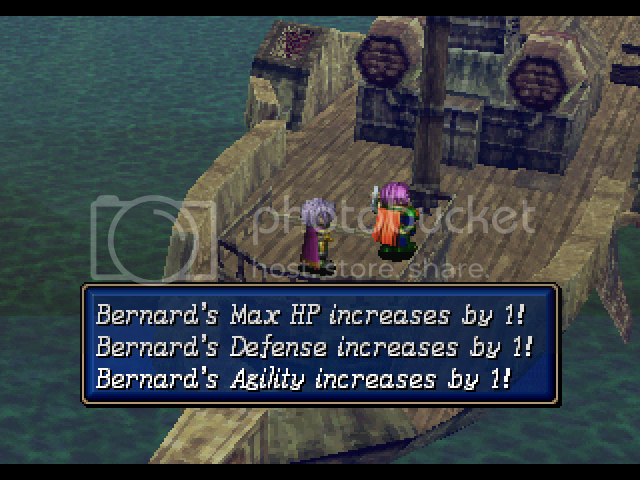 I think these saves actually came from SFC. You'll want to load the file with a play time of 29:40. Everything is in order now. At the beginning of chapter 3, when you enter Stump village, Campbell says, "-laugh- Syntesis may not like it, but continuing on tonight... Is not in the cards... Let's rest here." I believe the phrase is "not on the cards." Or perhaps that's just a UK thing? I've never heard anyone say "not in the cards". 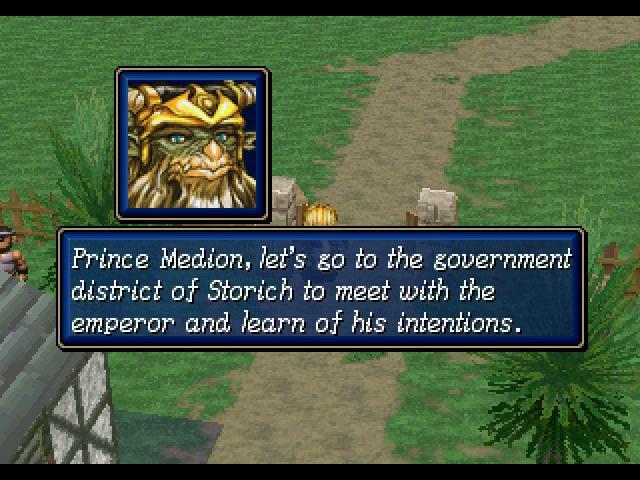 Also i've just noticed in the next bit of dialogue Goriate tells the force that he is looking for Gracia. However after the monks have left, Grantack says, "I'm not sure we can believe what Goriate told us... If it's true, why are they looking for Julian?" Clearly he was meant to say Gracia. "Not in the cards" is the correct phrase, although I'm not sure where it originates. Probably from tarot reading or something. Likewise I have never heard "not on the cards". If that is the accepted UK phrase then maybe we should use a different phrase. I'll check on the name issue and get it fixed up. Yeah looks like both phrases are correct and mean the same thing, just i never heard anyone say "in the cards" and i think you're English right Swalchy? Maybe it's just a West Country thing? Yes I'm English. From the North West. I've heard both phrases, though definitely "on" is more English-English than "in", which seems to be more American-English. Now I am still using an older release (16?) as I am almost done. If this has already been fixed, then please forgive me for repeating it. It appears East and West is used in places in V17, but it is still inconsistent, so I'll get it fixed up.